When it comes to real estate appraisals, there’s no better source for accurate and encompassing information than Magistrali Appraisal & Consulting Services. 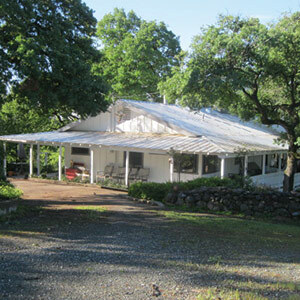 As the leading appraiser in Tuolumne and Calaveras Counties, we have a vast portfolio of satisfied clients and have utilized our expertise in nearly every professional capacity imaginable. Whether you’re a residential developer seeking a qualified lot appraiser in Tuolumne County, CA to help you progress on your next project or you’re seeking a manufactured home appraiser in Tuolumne County, CA to elaborate on the worth of a piece of property in your possession, your first and only choice should be Magistrali Appraisal & Consulting Services. When you trust us to appraise your land, you’re putting your trust in the hands of experienced, accredited appraisal experts. With a SRA designation from the Appraisal Institute and California State accreditation for residential property appraisal, Rick Magistrali is a reputable name within the local industry. Going above and beyond to ensure an accurate and thorough appraisal of your property, Magistrali Appraisal & Consulting Services is the leading local authority on property valuation, under any circumstances. Call us today at 209-984-5721 to inquire more about our abilities or to consult with us regarding your unique situation.